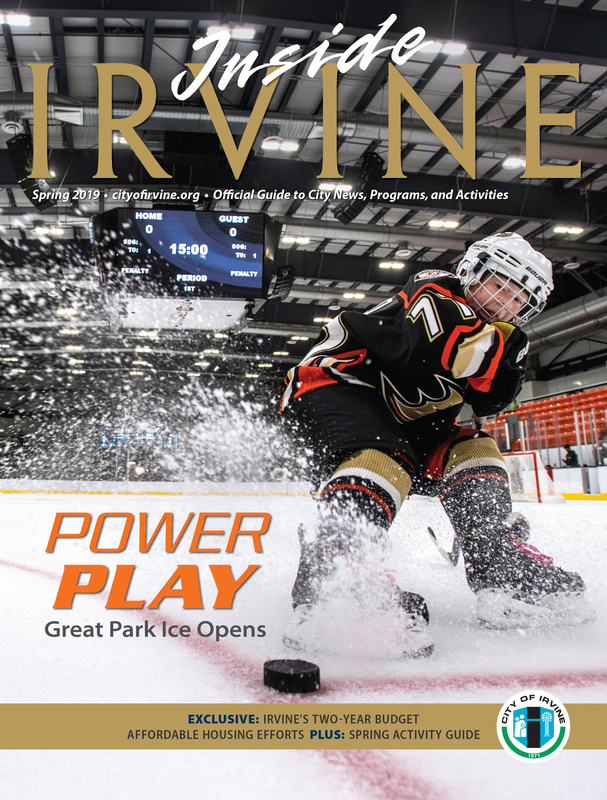 In the spring issue of Inside Irvine, read about how the City of Irvine has become an increasingly popular sports destination for athletes and spectators alike with the recent opening of the Great Park Ice & FivePoint Arena. Also, find out how you can get involved in the City's transition to a two-year budget, and learn more about Parc Derian, a new apartment complex providing another key to Irvine's affordable housing efforts. Then, search the Spring Activity Guide for City classes, camps, and programs happening this season — including summer camps! Read the spring digital edition of Inside Irvine, the official magazine and activity guide for the City of Irvine.